AETN works alongside educators, parents, students and the Arkansas Department of Education to impact student achievement. Stay connected by following our blog; podcasts; RSS feeds; social media outlets on Facebook, Twitter and Pinterest; and, especially our new Parents blog. You can find links to all of these resources online at aetn.org. Educators across Arkansas can begin a new school year of traveling through history with "Colonial Williamsburg Electronic Field Trips," beginning Thursday, Oct. 9, at 9 a.m. and noon. AETN live broadcasts and Colonial Williamsburg online streaming are available for free once a month, October through April. Educators who prefer to livestream the electronic field trips - which feature historical documentary or dramatic video in combination with live discussion by experts and historians, as well as interactive opportunities - may register for October's "The Global Economy" at: history.org/History/teaching. "Ghosts, Blood and Zombies: A Student Selects Halloween Special"
Celebrate the eerily wonderful work of Arkansas's next generation of filmmakers in the two-part broadcast of "Ghosts, Blood and Zombies: A Student Selects Halloween Special," Friday, Oct. 31. This broadcast features murder mystery, zombies, ghosts and other hair-raising student films. The first spooktacular episode airs Halloween night at 6:30. A second, more frightening piece will begin at 10 p.m.
Ready for a little monkey business to start the Halloween season? Join Curious George and the Man in the Yellow Hat for new episodes Oct. 28- 30 and special broadcasts of "Curious George: A Halloween Boo Fest" Monday, Oct. 27, and Friday, Oct. 31. Weekdays at 7 a.m. and 2 p.m. In a brand new episode, take a closer look at rice. Arkansas is the leading producer of rice in the U.S. Why? What brought rice to Arkansas? How does rice get from field to the table? And, what are the challenges facing the rice industry in the future? The October episode of "Agri Arkansas" will discuss these questions, explore the Arkansas Water Plan and water conservation, and learn about berry and flower picking opportunities in the Natural State. Featured panelists include: Edward Swain of the Arkansas Natural Resources Commission and Eric Wailes, L.C. Carter endowed chair in agricultural economics and distinguished professor of agricultural economics at the University of Arkansas. Sunday, Oct. 26, 1 p.m.
Arkansas Game & Fish Commission representatives will address small game, deer and duck hunting in this live, call-in program. Viewers may submit questions by phone, 800-662-2386; email, outdoors@aetn.org; fax, 501-852-2280; or via live, on-air phone, 501-852-8426. Airs Thursday, Oct. 30, 7 p.m. Kick off the new October episode with host Chuck Dovish traveling back to the golden age of aviation at the Arkansas Air & Military Museum. Then, investigate a different aspect of Arkansas history by visiting the boyhood home of Johnny Cash in Dyess and watching some of the top entertainers in country music at the annual Johnny Cash MusicFestival at Arkansas State University in Jonesboro. And, last but not least, relive Arkansas's wild and wooly western days at the National Championship Chuckwagon Races in Clinton. Monday, Oct. 6, at 6:30 p.m.
A new episode of AETN's biannual mental health program will address post-traumatic stress disorder (PTSD) in adults and examine how all aspects of mental health care - including illnesses, stigma, diagnosis, treatment and medications - affect it. An expert panel of representatives from the mental health field will discuss PTSD in Arkansas following the film portion of the broadcast. Viewers are encouraged to submit questions and comments at 800-662-2386 or paffairs@aetn.org. Thursday, Oct. 9, 7 p.m. Celebrate women's achievements and contributions to Hollywood, war, space, politics and business, in the final five one-hour documentaries of the "MAKERS" series, featuring untold stories from an extensive list of groundbreaking women in America. Each program in this year's series profiles prominent women in their fields who share the inspiring stories of their struggles, triumphs and contributions as they reshaped and, ultimately, transformed the landscape of their chosen vocation. 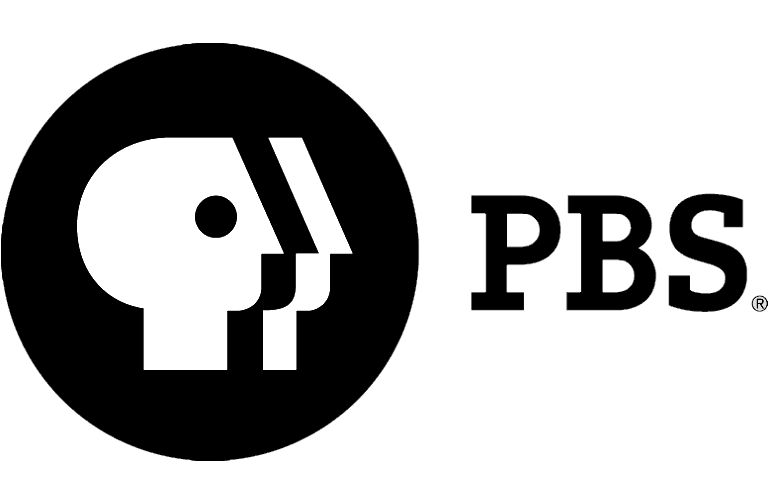 Tuesdays at 8 p.m. To allow for election coverage, "MAKERS: Women in Space" will air Wednesday, Oct. 15, at 10 p.m.
Oct. 3: "Student Selects: A Young Filmmakers Showcase, Episode 2," 6:30 p.m., and "Austin City Limits Celebrates 40 Years," 8 p.m.
Oct. 10: "Student Selects: A Young Filmmakers Showcase, Episode 3," 6:30 p.m., and "Live From Lincoln Center: The Nance Starring Nathan Lane," 8 p.m.
Oct. 17: "Student Selects: A Young Filmmakers Showcase, Episode 4," 6:30 p.m., and "The Gerswins' Porgy and Bess From San Francisco Opera," 8:30 p.m.
Oct. 24: "AETN Presents: On the Same Page With Robin Becker, Brains: A Zombie Memoir," 6:30 p.m.; "Tony Bennett & Lady Gaga: Cheek to Cheek Live!," 8 p.m.; and "Art in the Twenty-First Century: Investigation," 9 p.m.
Oct. 31: "Ghosts, Blood and Zombies: A Student Selects Halloween Special, Part 1," 6:30 p.m.; "Michael Feinstein at the Rainbow Room," 8 p.m.; "Art in the Twenty-First Century: Secrets," 9 p.m.; and "Ghosts, Blood and Zombies: A Student Selects Halloween Special, Part 2," 10 p.m.
Oct. 5: "Doc Martin: Out of the Woods," 8 p.m.; "Masterpiece Mystery! Lewis: Entry Wounds," 9 p.m.; "Masterpiece Classic - The Paradise Season 2: Part 2," 10:30 p.m.; and "Tales From the Palaces: The Future of the Past," 11:30 p.m.
Oct. 12: "Doc Martin: Erotomania," 8 p.m.; "Masterpiece Mystery! Lewis: The Lions of Nemea," 9 p.m.; "Masterpiece Classic - The Paradise Season 2: Part 3," 10:30 p.m.; and "Tales From the Palaces: Palaces and the Public," 11:30 p.m.
Oct. 19: "Doc Martin: On the Edge, Part 1," 8 p.m.; "Masterpiece Mystery! Lewis: Beyond Good and Evil," 9 p.m.; "Masterpiece Classic - The Paradise Season 2: Part 4," 10:30 p.m.; and "Tales From the Palaces: The Detectives," 11:30 p.m.
Oct. 26: "Doc Martin: On the Edge, Part 2," 8 p.m.; "Masterpiece Mystery! Lewis: Death Comes to Pemberly," 9 p.m.; "Masterpiece Classic - The Paradise Season 2: Part 5," 10:30 p.m.; and "Tales From the Palaces: Signs of Life," 11:30 p.m. This month, begin by exploring the state's agricultural economics. Then, visit the Cummins penitentiary unit in South Arkansas to learn about its prison farm operation and why the Arkansas Department of Corrections believes agricultural operations can reduce costs and help improve inmate morale. Afterwards, travel to Clarksville to uncover a "Peach Pickin' Paradise." Panelists Randy Veach of Farm Bureau and Shea Wilson of the Arkansas Department of Corrections join host Tony Brooks to close with a roundtable discussion. Sunday, Sept. 28, 1 p.m. 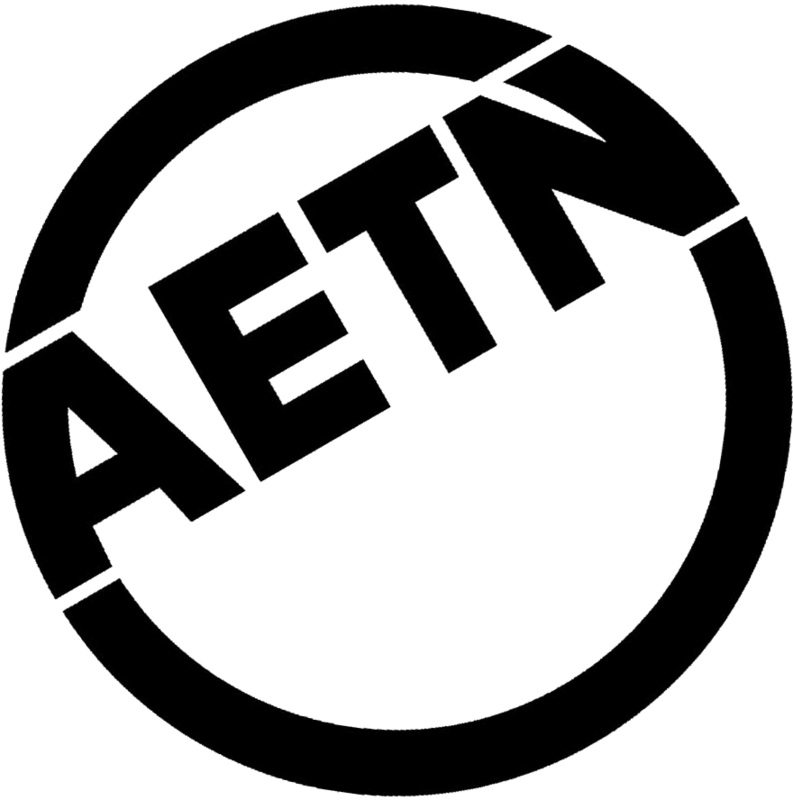 The Dabates will be broadcast the same day they are taped, include: Watch, learn about and participate in the 2014 election cycle with "Election 2014: AETN Debates." Candidates in nine races have agreed to participate in this year's broadcast. All debates, which are free and open to the public, will be held in the Reynolds Performance Hall on the University of Central Arkansas campus and may also be viewed live at aetn.org/elections. U.S. Congressional District 2, with candidates Patrick Hays (D), French Hill (R), and Debbie Standiford (L), taping Monday, Oct. 13, at 10 a.m. and airing at 7 p.m.
U.S. Senate, with candidates Tom Cotton (R), Nathan LaFrance(L), incumbent Mark Pryor (D) and Mark Swaney(G), taping Monday, Oct. 13, at 2 p.m. and airing at 8 p.m.
U.S. Congressional District 3, with candidates Grant Brand (L) and incumbent Steve Womack (R), taping Tuesday, Oct. 14, at 10 a.m. and airing at 7 p.m.
U.S. Congressional District 4, with candidates Ken Hamilton (L), Bruce Westerman (R) and James Lee Witt (D), taping Tuesday, Oct. 14, at 2 p.m. and airing at 8 p.m.
Secretary of State, with candidates Jacob Holloway(L) and Susan Inman (D), taping Wednesday, Oct. 15, at 10 a.m. and airing at 7 p.m. Incumbent Mark Martin(R) has not yet confirmed his participation. Attorney General, with candidates Aaron Cash(L), Leslie Rutledge (R) and Nate Steel (D), taping Wednesday, Oct. 15, at 2 p.m. and airing at 8 p.m. Lieutenant Governor, with candidates John Burkhalter (D), Tim Griffin (R) and Christopher Olson (L), taping Thursday, Oct. 16, at 10 a.m. and airing at 7 p.m. Governor, with candidates J. Joshua Drake (G), Frank Gilbert (L), Asa Hutchinson (R) and Mike Ross (D), taping Thursday, Oct. 16, at 2 p.m. and airing at 8 p.m.
U.S. Congressional District 1, with candidates Jackie McPherson (D) and Brian Willhite (L), taping Friday, Oct. 17, at 10 a.m. and airing at 7 p.m. Incumbent Rick Crawford (R) has not yet confirmed his participation. In addition to keeping viewers informed about the candidates, "Election 2014: Ballot Initiatives" will air Monday, Oct. 13, at 9:30 p.m. The proposed initiatives that have reached the ballot will be discussed in this 30-minute program produced in conjunction with the University of Arkansas Cooperative Extension Service. 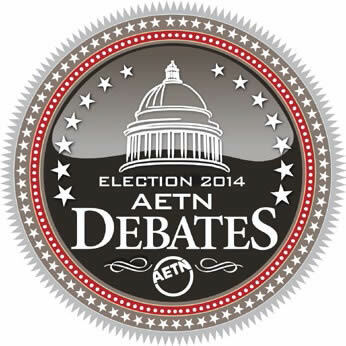 Major funding for "Election 2014: AETN Debates" is provided by AARP Arkansas. Learn more at aetn.org/elections.